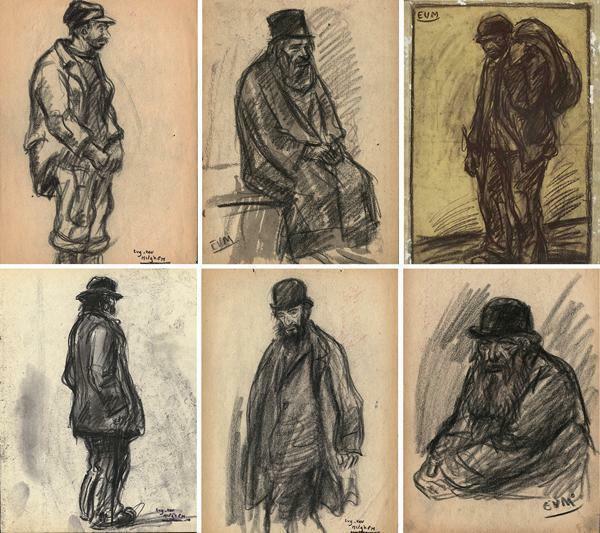 Eugeen Van Mieghem drew the people he saw everyday at Antwerp’s port. You’d be forgiven for not recognising the name Eugeen Van Mieghem, but a small museum in Antwerp is diligently preserving the memory of this important local artist. 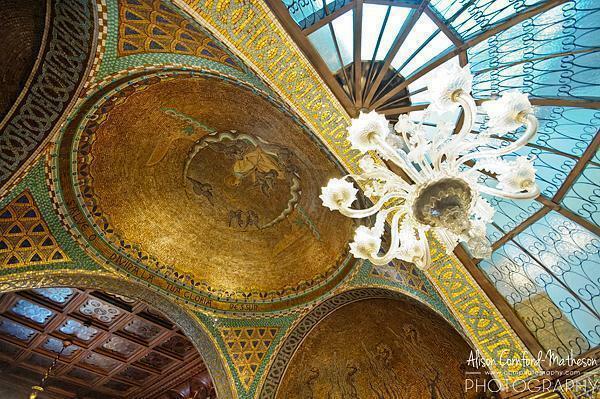 The Van Mieghem Museum and the Art Nouveau ‘La Rade’, that houses it, are well worth adding to your list of places to visit in Antwerp. A few months ago, Antwerp was celebrating the opening of the long awaited Red Star Line Museum, which documents the lives of European emigrants on a grand scale. If you are interested in the lives of the ‘steerage class’ passengers, as well as the people who made their living on the Antwerp docks, head to the tiny Van Mieghem Museum, for a unique look at these difficult lives. Eugeen Van Mieghem wasn’t one of the 2.7 million emigrants to head for America on a Red Star Line ship, but he was integral to documenting their passage through Antwerp. Van Mieghem grew up in his mother’s inn, in Antwerp’s port district, and often helped his father load cargo onto the ships in the shipyard. 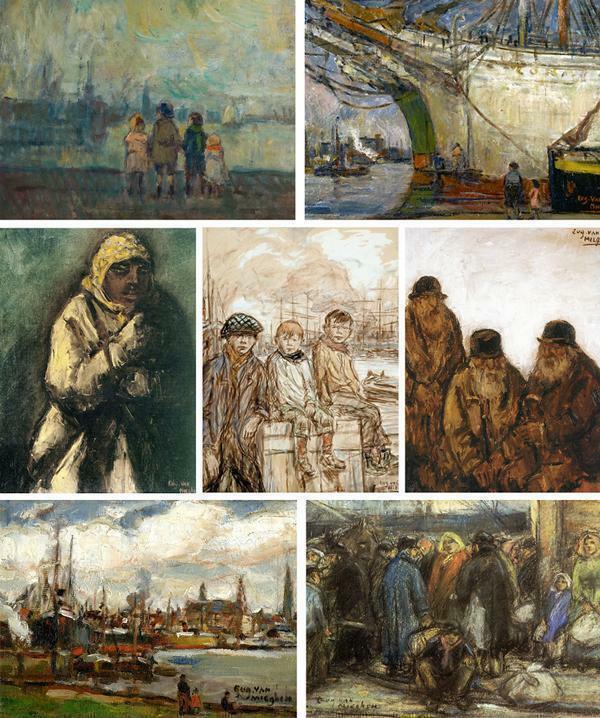 With paint and pastel, Van Mieghem documented the people he saw each day: families with small children dreaming of a better life in America, elderly men and women hunched over the burden of their meagre possessions, stevedores, sailors and even the prostitutes who worked the docklands. 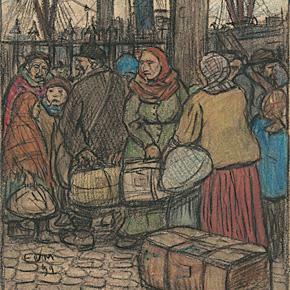 Van Miegem’s Pastels were rough and raw but depicted the everyday people of the docks. These were not the wealthy passengers travelling in Red Star Line’s luxury classes, who were photographed and documented in journals and letters. Van Mieghem’s subjects were the unacknowledged masses, forgotten in the endless flow of emigrants heading for America. Van Mieghem’s work is raw and often dark and, despite being influenced by Van Gogh, Seurat and Toulouse-Lautrec, he wasn’t an immediate success in the art world. He was dismissed from the Antwerp Art Academy for his spontaneous approach to art and fell into several progressive cultural movements, including an anarchist group. He never stopped painting and drawing, however, and eventually he gained some acclaim. 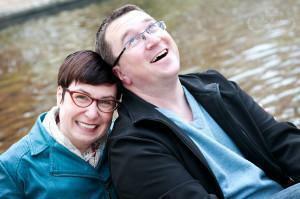 Twenty years after they kicked him out, Van Mieghem even became a professor at the Art Academy. Acclaim came later on for Van Mieghem and his work is an important slice of Antwerp’s history. After WWII, interest in Van Mieghem’s work tapered off again, until one man discovered it and made its promotion his life’s work. Erwin Joos, a successful economist, gave up his career after purchasing a Van Mieghem painting. He became the director and curator of the Eugeen Van Mieghem Foundation, wrote books on Van Mieghem and his works, and collected more than 150 paintings and drawings to create the Van Mieghem Museum. 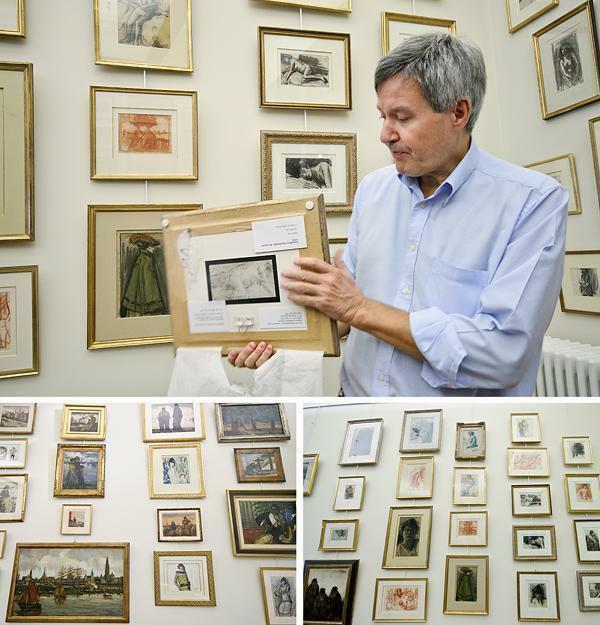 Erwin Joos is a Van Mieghem expert and curator and director of the museum. Here he demonstrates how the artist often recycled his canvases. The Museum itself is only one room, but the walls are tiled with Van Mieghem’s works, including the piece that began it all for Joos. It is only open on Sundays and Mondays, between 2 and 5 pm, but you can arrange a private tour, with one of the foundation members. If you contact the foundation for a tour, it’s worth asking if you can visit the stunning ‘La Rade’ (not normally open to the public), owned by the Royal Belgian Ship-owners Federation, that sponsors the museum. 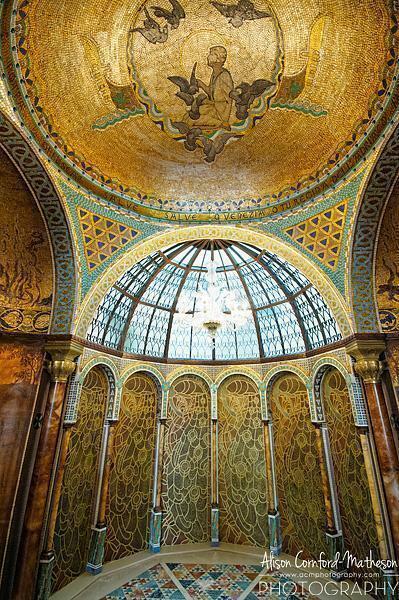 Because I was part of a group visit, I was lucky enough to have a look at this Art Nouveau masterpiece. 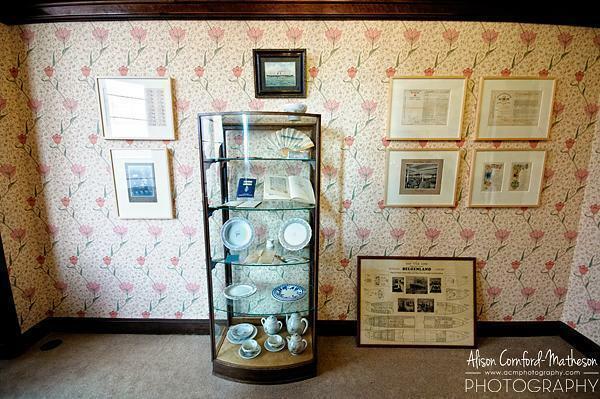 There is even a room housing memorabilia from Red Star Line, thanks to a donation from the 82-year-old Helena Vanloo, whose father worked on the ships. The Red Star Line room in La Rade. The Van Mieghem Museum offers a look at a different side of the Red Star Line emigration story. It is well worth visiting and learning about this important Antwerp artist. Photos of Van Mieghem’s art provided by the Van Mieghem Museum. Special thanks to Visit Flanders for sponsoring my visit to Antwerp. All opinions, as always, remain my own.